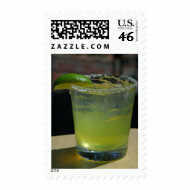 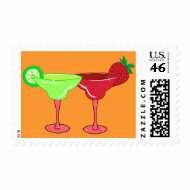 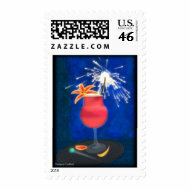 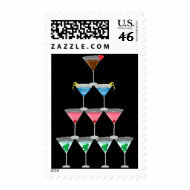 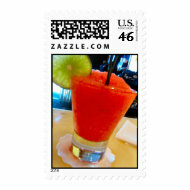 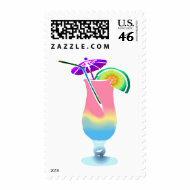 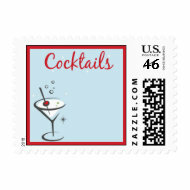 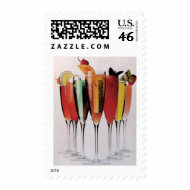 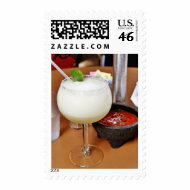 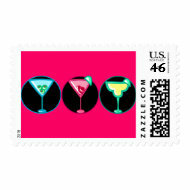 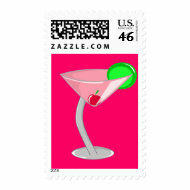 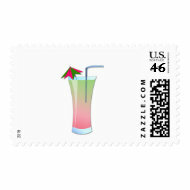 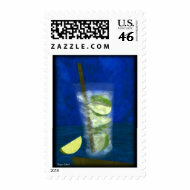 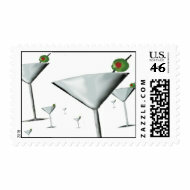 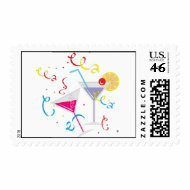 These custom designed postage stamps are ideal to pop onto cocktail party invitations. 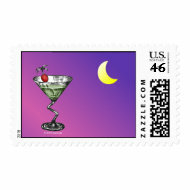 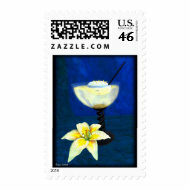 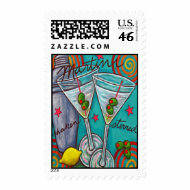 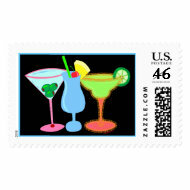 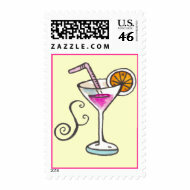 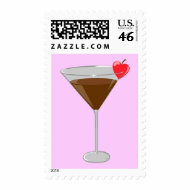 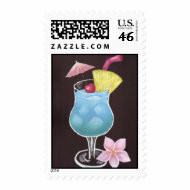 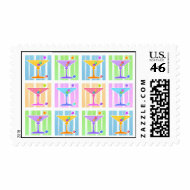 Cocktails are so fun that seeing these cocktail postage stamps on a letter is bound to bring a smile to someone's face before they even open the envelope! 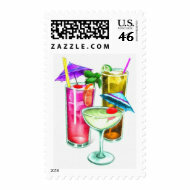 Never before has it been so easy to use custom postage stamps, these are all from a print on demand site and some of them can even be personalized. 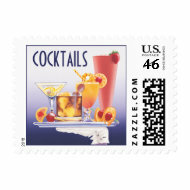 Having a cocktail party? 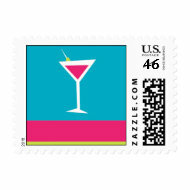 Planning a Girls Night Out? 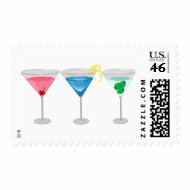 Batchelorette Party Happening somewhere or even Wedding Cocktails - use these custom cocktail stamps to really get people talking. 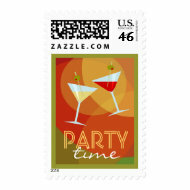 Now I must admit the last couple of get togethers I organized I used email and text messages to invite people, but when it's a special occasion such as a 21st, 40th, engagement party etc I think formal invitations are great......they're also really nice to recieve in the mail. 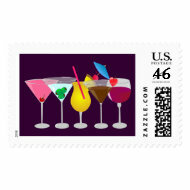 If you're going to the trouble of sending an invitation which is going to require a postage stamp anyway then why miss the opportunity to use one of these fantastic cocktail inspired postage stamps. 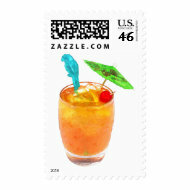 Custom Postage Stamps - Cocktail Hour!